For awhile now, I’ve had trouble with sleep. No matter what time I go to bed or how long I sleep, I often feel tired in the morning. What’s more, B has noticed me gasping for air and kicking during the night. Of course, the worry here is sleep apnea. 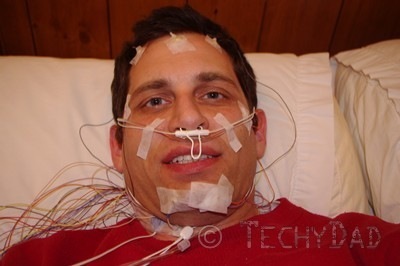 After getting my nose looked at by an Ear, Nose, and Throat specialist, I was told to get a sleep study. At my initial visit to set up an appointment, I was showed around the facility and given a walk-through of what would happen. This was very reassuring as I didn’t know a thing about what "a sleep study" entailed except that I would be sleeping during it. Then, on Sunday night, I arrived at the center to check in. After signing some paperwork, I was showed to my room. Obviously, this isn’t a four star hotel, but it’s not too shabby either. My room happened to have no windows, but I didn’t really care about that. They do have rooms with windows that people can request if that is important to them. The room was pretty sparse. 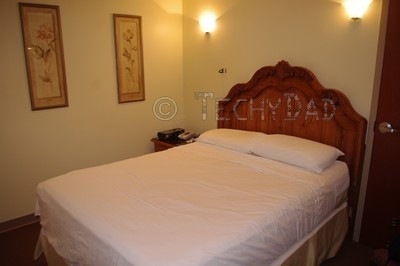 Just a bed, a chair, night stand (mainly used for electronic equipment – more on that later), and a fan. Of course, the only real purpose of this room is for sleeping so sparse is just fine. 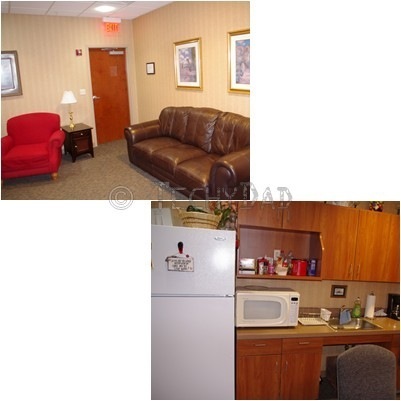 If you wanted to watch TV or have a snack (that you packed beforehand), there’s a common room with comfy couches, a table and chairs, a TV, a fridge and more. Wi-Fi was available so I could browse the Internet while I waited as well. 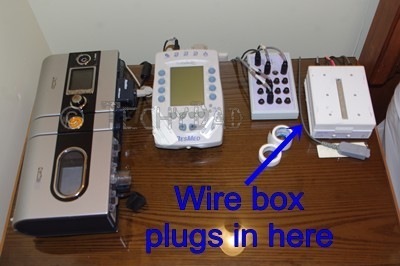 After being shown my room, my technician explained what would happen during my sleep study. Basically, there are four stages of sleep. The first two are light sleep stages that we can easily be woken out of. The third involves our brain replaying items from our short term memory and storing them in long term memory. The fourth stage is REM or the stage where we dream. We need stages three and four to feel rested so you can sleep for 10 hours, but if you are only getting stages 1 and 2 you will wake up feeling exhausted. The technician explained again how things would basically work and asked what time I usually went to sleep. Then, he told me to change into my pajamas. Once that was done, I was free to stay in my room or go into the common room. I did the latter but eventually moved to my room for awhile. Soon, my technician returned. It was time to get wired. Literally. 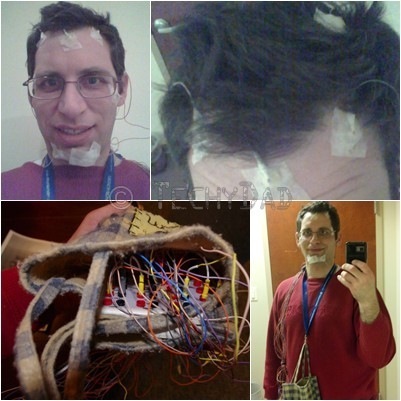 Next, I sat down as he put glue on spots of my scalp and attached wires there. Wires were also placed all around my face. The wires coming out of my pants were attached to my lower legs near my ankles. 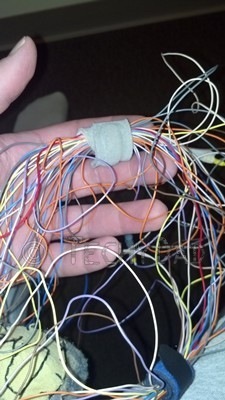 All of these wires were plugged into a little rectangular box which I was told to wear around my neck. By the end, I was truly a "Techy" Dad. I later joked to people that I felt like one of those bombs from the movies. Cut the red wire! No, the blue one! I was allowed to pass the time any way I wanted until it was time to go to sleep. It was odd having someone walk in my room and tell me it was time for bed. Normally, that’s me telling my boys that! I felt like I had a giant wire ponytail. Not exactly conducive to sleep. 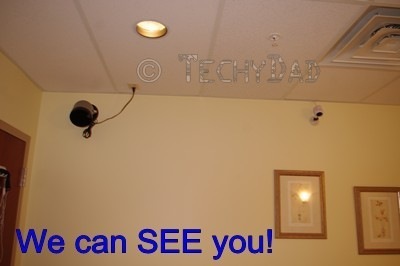 Especially when you factor in that the room had a camera and microphone so they could watch/listen to me all night. I was all ready for bed and could now lie down. The technician turned off the lights and shut the door, but it wasn’t sleep time just yet. First, he needed to run me through some tests to make sure that the sensors were working properly. I had to keep my head still and move my eyes up and down. Then side to side. Then, I had to move my left foot and then my right one. Thank goodness I wasn’t told to do the hokey pokey. With all of those wires, I wouldn’t have been able to turn myself around. Finally, at 5:40 am, I was roused by my technician who said that they had noticed I was waking up and it was time to go. Funny. I didn’t feel like I was waking up. Then again, they are the ones who had wires monitoring my brain! 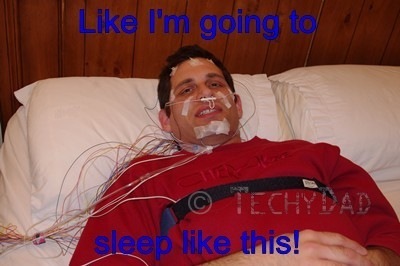 I still don’t have the results of the sleep study. Part of me is hoping that they find something. It will mean that the co-pay wasn’t "wasted money" and perhaps my sleep issues can be resolved. 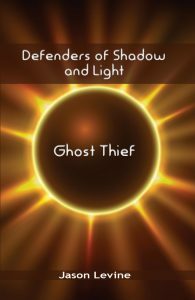 On the other hand, another part of me hopes they don’t find anything because, really, who wants something to be wrong with them? In any event, it was quite an interesting experience. However, I don’t think I’d want to repeat it anytime soon.